I’ve been wanting to make a tiered, patchwork skirt for a while. I was putting it off because I was afraid I would start the project and loss steam partway through, then it would forever sit in my WIP pile. So when I found a beautiful plaid patchwork curtain at the thrift store I knew it was meant to be! 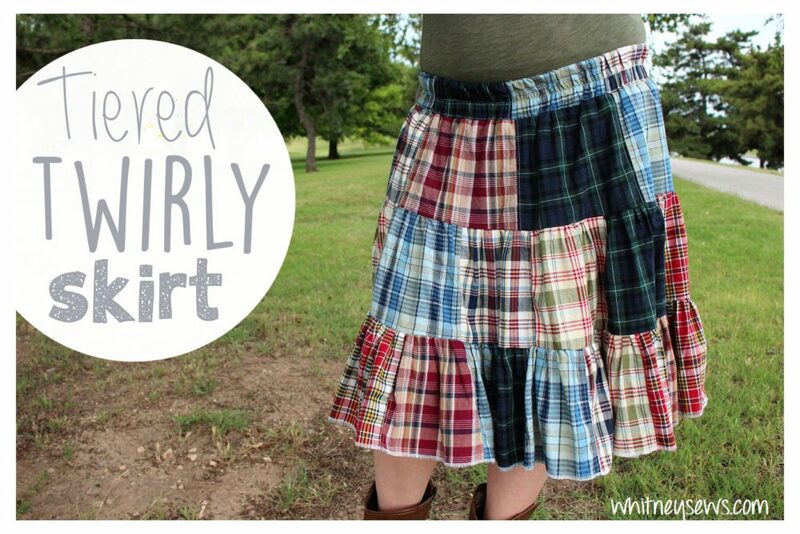 All the plaids were already nicely pieced together and all I had to do was cut it into rows and gather them together into the tiers of my skirt. 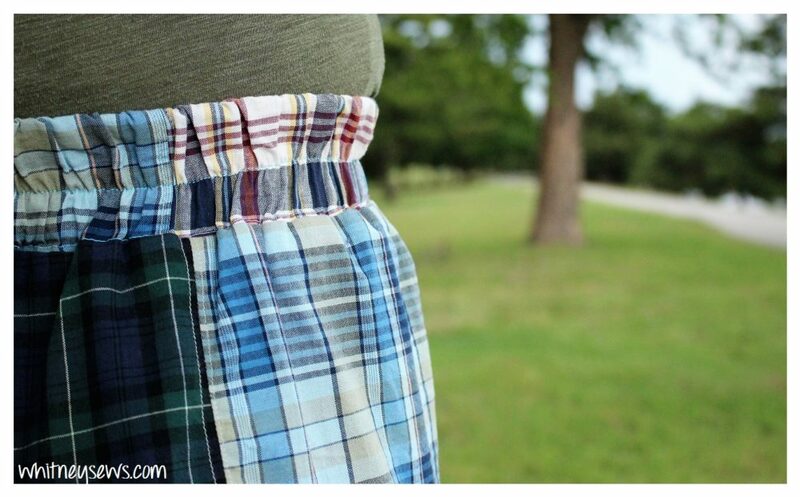 I added an elastic waistband which makes the skirt so comfortable to wear. 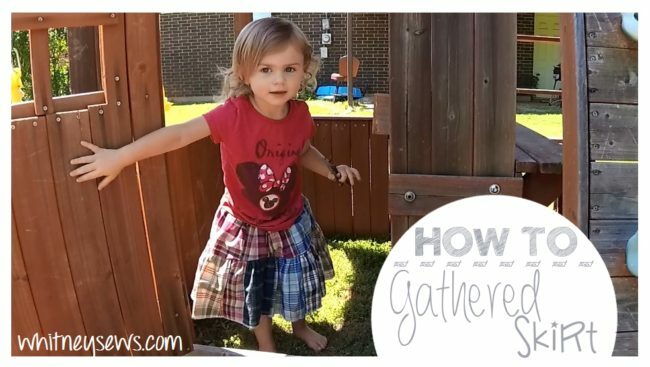 Check out the full how to HERE to see how I easily turned a curtain into a cute, lined skirt in only a few hours! I had a little bit of fabric left over so I made a matching skirt for my daughter! Of course I know not everyone was a great curtain to start with. 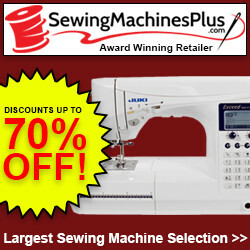 In that case you can use regular fabric yardage and cut several strips width of fabric to use. You can also piece several fabrics together to make your own patchwork material if that is the look you want. I will have another video coming in a couple of weeks showing the quickest and easiest way to do that. I’m actually planning on sharing several videos this Summer and Fall showing how you can transform old clothes in your closet and thrift store items into new clothes for yourself! I’m very excited about all the videos and hope you are too! Make sure to subscribe if you haven’t already so you don’t miss out on any of those videos. 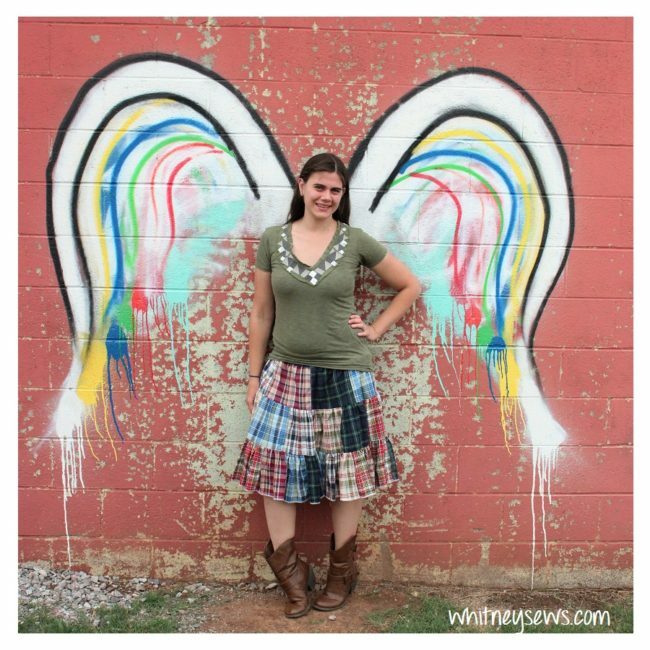 This entry was posted in Blog and tagged Clothing, DIY, How to, Refashion, refashion your style, Thrift Store, upcycle.